California town's water pipes fouled by benzene and other toxic compounds. Check out the September 2018 issue of Tapped Into Plumbing, featuring a variety of articles on plumbing safety and research. Low-flow building water systems designed to conserve water pose potential health hazards because they may cause an increase in disease-causing organisms and harmful chemicals. 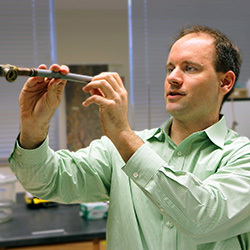 A new EPA-funded project led by Purdue University strives to help solve the problem.